“You, and your child, can force wakefulness upon sleep, but you cannot force sleep upon wakefulness” (Healthy Sleep Habits, Happy Child , page 30). 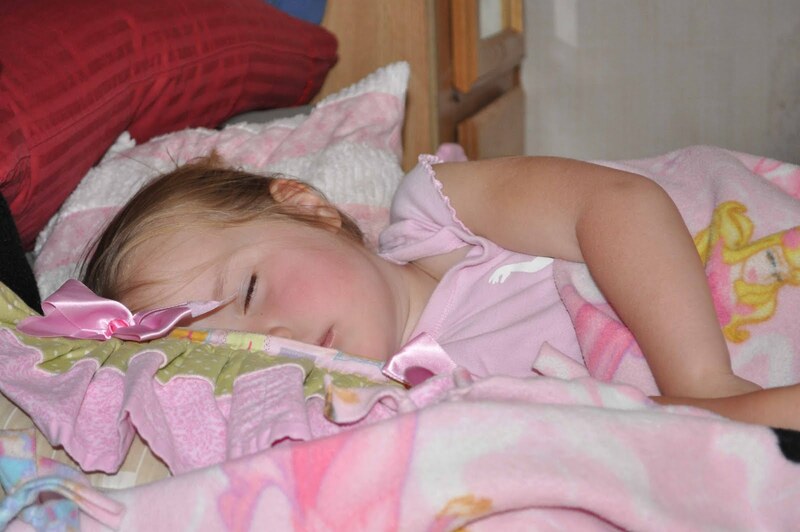 “Parents have the opportunity to permit the maximum amount of sleep to occur…” (page 30). It can be very frustrating if your child will not sleep when you want him to. I think these two quotes are excellent to keep in mind–you can put a baby in bed at the right time, but you can’t make him sleep. As a parent, you can do your best. You can do what you need to so that your child is in bed when he should be for naps and bedtime. You can do your part to make sure your child isn’t understimulated or overstimulated. You can figure out optimal waketime lengths. You can provide a good environment for sleeping. There are plenty of things that are in your control. This is a lot easier to swallow if you are talking a couple of bad naps here and there or even just a bad run for a couple of weeks. It gets more difficult when you go on months. I know–believe me I know. Brayden didn’t nap well consistently until he was 6.5 months old. Where most babies sleep well most of the time and have bad naps here and there, he had bad most of the time with the good nap here and there. I am not actually a stressing type person, though, so it didn’t stress me out. I just accepted it and we went about our lives. I think it would be much harder to take the shorter napper if it was not your first–if the short napper followed the amazing napper, it would be hard. You would know exactly what you are missing and what your child is missing. If you have a chronic short napper, it might interest you to know that Weissbluth claims 5-18 percent of babies are short nappers, and that it is just a natural thing for the baby. He also says this lasts until 18-24 months old essentially. I don’t know how true or untrue it is, but there is the information for you. You can check out his book (Healthy Sleep Habits, Happy Child ) on page 30 for more. What I hope this post does for you is encourages you that sometimes, you will do everything right but you can’t lead a baby to sleep. The saying goes “You can lead a horse to water, but you can’t make him drink.” I showed horses as a teenager and grew with horses my entire life, and that statement is certainly true. There are many things in life you can’t force. Sleep is one of them. You can set the stage. You can set your child up for success, and sometimes it won’t happen. Think of yourself. Have you ever had a night you had a hard time sleeping–even when you really wanted to sleep? It happens. So hang in there. Do your best and then just learn to roll with what comes next. Next Post Color It By Number WINNERS! Thank you for this timely post! I am having sleep wars with both of my boys today and it is a good reminder that I have done what I can do but can't make them sleep. Very timely. My daughter is a "power napper." Her brother was a champion napper and super easy to get down. I have stopped fighting the battle. We still put her down and give her the opportunity to sleep and do what we can to make sure her wake times are correct but I decided to stop sweating it. Thank you for this post. I have been dealing with more bad than good naps for months now. My son will be 14 months this weekend. Would you continue to put him down for two bad naps or just move to one? I don't want to fatigue hiim, but I stresses me out when he only sleeps 45 min all day. Your encouragement is much appreciated. So timely!! My 23 month old has started not napping some days, and it has been driving me crazy since we now have a two week old as well. I'll keep doing what we're doing! Thanks for this post! This is my baby to a tee! She was a great sleeper from birth to 3 months, but then everything went down hill. Unfortunately I am a stressed, so the next 9 months were brutal! She is 13 months old now and just recently started sleeping better (and I finally learned to let go of my expectations). It is so hard when your baby doesn't follow what all the books say, but my encouragement to those moms with other "bad" sleepers is to hang in there. It will get better!! You are all welcome! Thanks for the additional thoughts! Thank you for this post. It helped so much because I feel like we are doing everything "right" so to speak and just not getting the results. I am going to keep trying and deal with it. I pray we have results soon. Thank you again though this spoke to me! I am having chronic sleep problems with our 9 month old. She still wakes 1-2 times a night to be fed. Her morning nap is 2 hours after she wakes up in the morning but is only 45-65 minutes long. Her afternoon nap is 3 hours after the morning one ends and is 1.75-2.5 hrs. She then goes to bed at 6:30 or 7pm. Any advice would be great! I am desperate! Lauren, there are so many possibilities. I suggest you see my post "nighttime sleep issues revised and updated" and also "naps: troubleshooting revised and updated" for some starting points. Thank you for this! My daughter will be one year old in 2 weeks and good naps are few and far between. I kept thinking things would change when she reached 6months, and then 7months, and then maybe 10months, etc etc…I've read every book, been on the babywhisper forum for help on and off her whole life, trying to tweak things and make things work. Despite the fact that she goes to sleep independently with no props, she still short-naps.We have good stretches here and there but then she's back to short napping 35/40mins for no good reason at all. I've tried longer awake times, shorter awake times, keeping the same routine for a while to see if it would stick, or just going with the flow and trying to read her cues instead. I've minded her stimulation during the day, darkened her room for naps, and on and on…Nothing seems to do the trick. Always a guessing game with this one! Good to know I'm not alone. And a good reminder to just relax and be OK with it. I forever blame myself and think, "If i could just find the magic formula, then we'd be in nap heaven!" But alas…She won't be a napper forever and then it will be on with other things to deal with, so i guess the first couple years might just be more challenging for me than others. That's OK. My daughter is healthy and happy (for the most part!:)). Thanks.